Cathy Campbell and her husband retired to Tallahassee from the northeast in 2014. She has worked as a Mortgage Banker and self employed as a Graphic Designer for years. She graduated from The University of Oklahoma with a BFA. 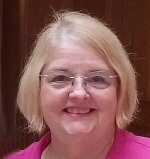 Cathy Campbell now blogs for Tallahassee’s paper, The Tallahassee Democrat. Please check out the Choose Tallahassee website. After they notified us of our win, we decided that we would try to be in Florida by August. Our oldest daughter was going to give up her business. She and our 15 year old grandson had decided to move to Florida with us. (Happily she has restarted her business down here). Our son was on the fence whether he would give up his apartment and job to move near us. (Good news…he just moved to Tallahassee a couple of months ago.) Our other daughter lives in the Atlanta area. It’s nice to have family together. Choose Tallahassee was hinting that so many events started in the fall that it might be a nice time to come! So since high school started in mid-August in Tallahassee, our decision was made. The first step was starting to reduce much of our 40 years of treasures (maybe I should have said clutter…ha, ha). We started room by room and drawer by drawer. We had boxes to “Donate”, “Keep” and “Trash”. We made numerous (I mean numerous!) trips to the donation and recycling centers. Clutter gone! We put our house up for sale after the clutter was gone. We tried to “stage” the house and kept it clean. We stored our boxes where no one could see them. We got three moving company and rental truck company’s estimates and read reviews on all. We asked about military, age and membership discounts and found they often did offer these even though it was not disclosed in their literature! I thank my family for helping make this happen for us and all the help from Choose Tallahassee. My biggest hugs go out to my husband who retired earlier than planned because of this contest. What I can say to those considering a retirement move…go for it! Now is the time. Reach for it…it is within reach. Will the move tire you out? Probably. Will it be worth it…yes! Do your research; visit and then when you get there join in! Stay connected in retirement to stay happy! You won’t be bored, miserable or feel useless if you do. Volunteer! You have to get involved to like your city. Choose Tallahassee did that for us! What has been our biggest challenge during this free year? It was keeping our calendar straight with all the events we were able to attend. We are thankful to all the wonderful companies who donated tickets for us to enjoy Tallahassee. So please check out Tallahassee….we have made it our home. It is a wonderful place! And, you just might win a home-free year here too because Choose Tallahassee will be doing this contest again 5 more times. The next one begins in November so please check out their website, Twitter and Facebook site for upcoming information. “Like” them to find out more. If you are lucky, whether you win a rent free year or just move here…you’ll love to retire in Tallahassee! Check out other similar posts in the Retirement locations category. My husband graduated from FSU (many yrs ago) & we got to live in Tallahassee for a year. I totally fell in love with the city! I so many times told him how I’d love to return there, as it had so much to offer and the weather was cold ( & snowy) in the winter. Enjoy your new home…we’re in San Diego, CA where it’s VERY costly & VERY crowded…but my hubby won’t leave BUT our kids are here, so that’s a great thing!